Just imagine at Sunday night your hot water system or pipes get damaged and you need a plumber in an emergency. This scenario might stress you out because your entire days plan might go of in searching for a plumber if you do not have any contacts in hand. If you have the contact info of a good plumber in advance then your problem may be easily solved. The very first thing that you can do is to call up the nearest hardware store and check with them if they have any contacts with the local plumber in your area. Usually the hardware stores have many plumbers visiting them for their hardware needs and so they have good contacts with them. They usually suggest the good and reputed plumbers because they also have a reputation to maintain. Finding a skilled person for a particular job could be very challenging, and especially when the working area is plumbing. There is a common need for every household to repair home kitchen drainage systems. If you call just any plumber for repairing your damaged pipe or for repairing your drainage then they may charge a very high amount for even a relatively small job. So selecting a good plumber is very important because if you choose an inexperienced plumber then he may even damage your existing system. If you found a good plumber for your home kitchen drainage then make sure to get all their contact details. It is because the kitchen drainage systems might need work at any given time. 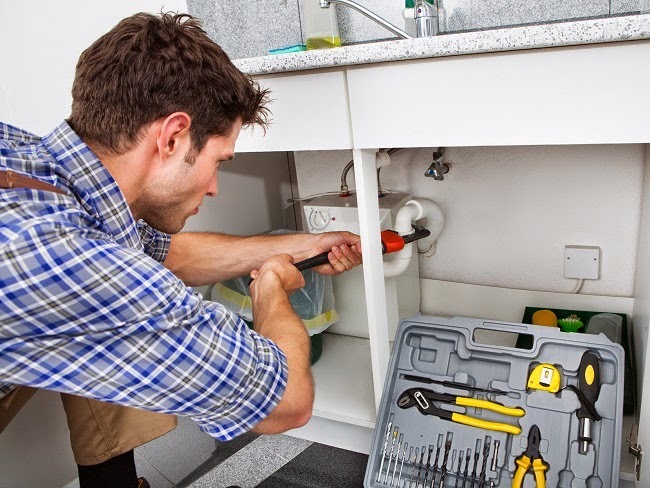 Many plumbers are available for on the call basis, and this will let you hire their service in times of emergencies. So take out time and follow the above mentioned points to get a good plumber for home and kitchen drainage system. How to Identify Between Good and Bad? Another step could be to ask around your friends or even your colleagues could help you to find a good plumber. It will not only give you a good plumber but also the trust that he has done a satisfactory job for them. They will only recommend you if they have had a good experience with the plumber in the past. These days you can also get help from the newspaper and internet. If you do not find any good plumber around your area then you can check in the newspaper or the best thing would be to check on the internet. While finding them locally you should know that there are many different types of plumbers available in the market. Some may concentrate on small jobs while, some may be on maintenance and repairing work. But your need is to fix the kitchen system and so you need to find the appropriate plumber that specializes in this field. On the internet you will find many websites that can offer plumbing service in your area, and there you will also find the area that they specialize in. You will also get an option to ask plumber queries related to the kitchen drainage.